Well at least it wasn't snowing! 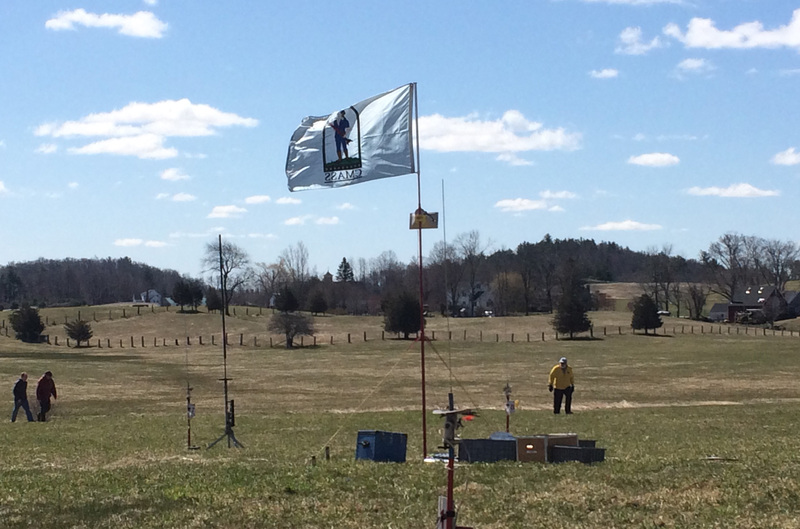 Our first launch of the season was mostly sunny and the temps made it to the 50's in the afternoon but it was a windy day. The CMASS flag was fully stretched most of the day. Fortunately, the wind was blowing in the right direction - away from the power lines. It was a small crowd of about 30 to 40 people for most of the day with a good contingent from U. Mass Lowell and U. Mass Amherst. FlisKits and Jason of AMW were also in attendance. There was a total of 81 flights; considering the wind, that was pretty good. There were definitely some brave fliers there on Saturday. The U Mass students, ably mentored by our own Howard, had eight L1 certification flights; all were successful, with only one landing in a tree, about 50 ft. up near the parking area. I don't know if they were able to retrieve it by the end of the day. I believe all of the cert flights used Chute Release and only two were not successful - i.e. the chute fully deployed at apogee and not the set altitude. The student certification flights were our only high-power flights that day. Interestingly, no other fliers were brave enough to attempt a high-power flight. There were a few first-time fliers and observers there. Jim helped out one family with two young boys get started. I was speaking with another that just came by to watch. 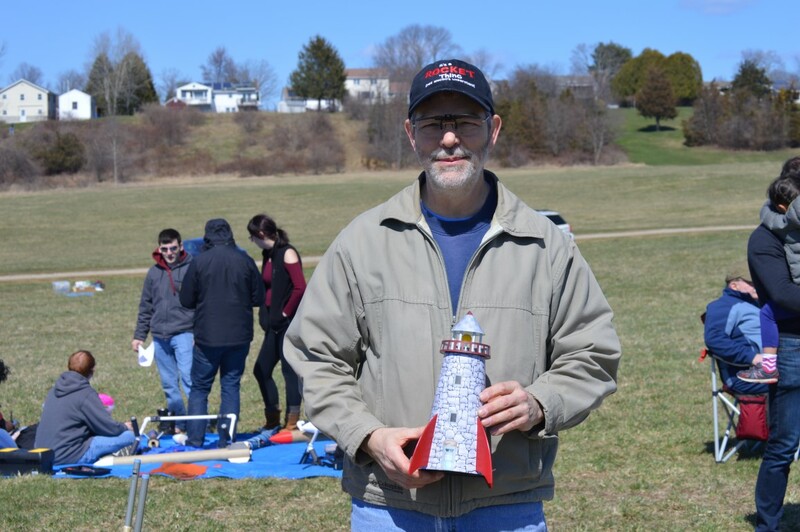 They had also come to one of our TARC launches; hopefully they will return with some rockets of their own. Thanks to the U Mass students for help with set up and take down; Linda, Dominic and Carmine for food service, and everyone else who helped out. There are some pictures in the Gallery; please add yours. Our next launch is our joint launch with MMMSC on May 19 in Berwick ME.